"Twitter as a tool for Community Policing"
Chief Francis Kariuki is manning a location with population of twenty eight thousand people in Lanet Umoja, Nakuru North District. A while back I was using texting message to inform, reach out and stayed connected with the people in my constituency even though texting messaging was serving the purpose I was looking for a more advanced technology platform that would help me connect with people in my constituency in a broader way. 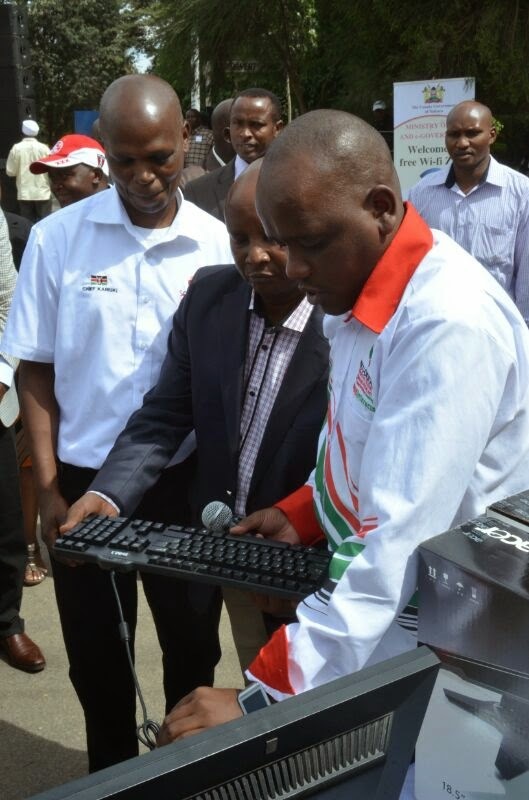 with his knowledge and expert in Twitter to fight crime,Chief Kariuki of Lanet in Nakuru has become a consultant of technological use to fight crime and is being invited in different places to train other local government workers how to use technology as community policing tool. Nakuru residents have been invited to go for a free medical male circumcision that is going on at Nakuru West Clinic. 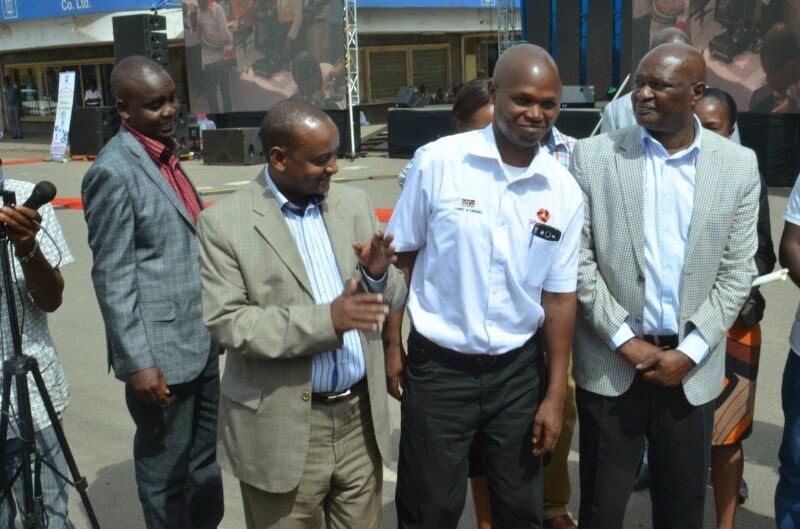 Chief Francis Kariuki of Nakuru North’s Lanet Umoja last evening told HiviSasa.com that the voluntary exercise started yesterday and is scheduled to run until this Saturday, April 19. 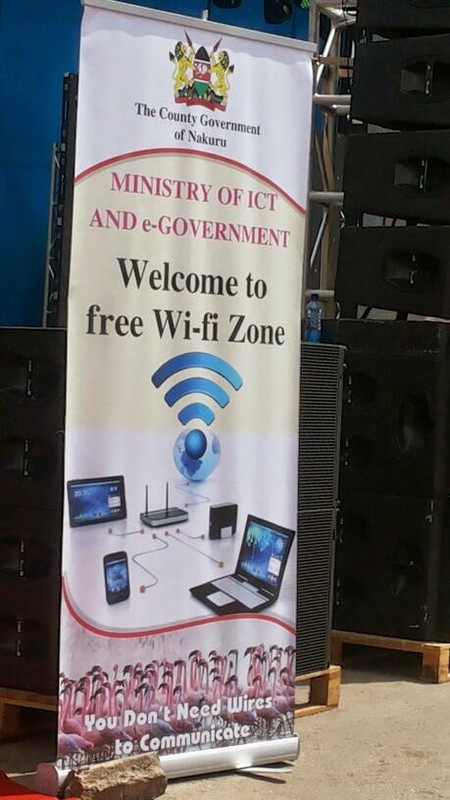 Chief Kariuki, recognised worldwide as Kenya’s most digital local administrator, said all males above 12 years will be welcomed at the facility, located near Mama Ngina primary school. He is advising residents to undergo the free cut, saying circumcised men have minimal chances of contracting sexually transmitted diseases, such as HIV and AIDS. “All males of 12 years and above will be circumcised for free to reduce chances of acquiring sexually transmitted diseases like HIV and AIDS,” he said. 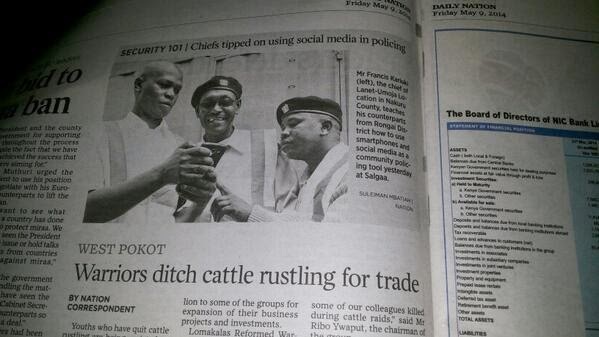 Chief Kariuki is widely known for his use of Twitter in community policing and fighting crime. He has been invited to several international forums to share his innovative use of social media. 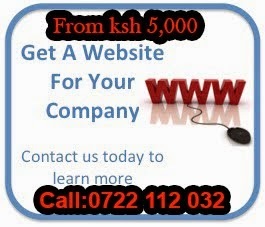 LANET UMOJA, Kenya (AP) — When the chief in a western Kenyan village received an urgent call that thugs were invading a school teacher's home, he sent a message on Twitter. Within minutes residents in this village of stone houses gathered outside the home, and the thugs fled. The tweet from Chief Francis Kariuki was only his latest attempt to improve village life by using the micro-blogging site Twitter. Kariuki regularly sends out tweets about missing children and farm animals, showing that the power of social media has reached even into a dusty African village. He says he recently tweeted about a lost brown and white sheep, and the animal was soon recovered. A recent report said that Twitter is enjoying big growth across Africa. It said South Africans use Twitter the most, but Kenya is second. 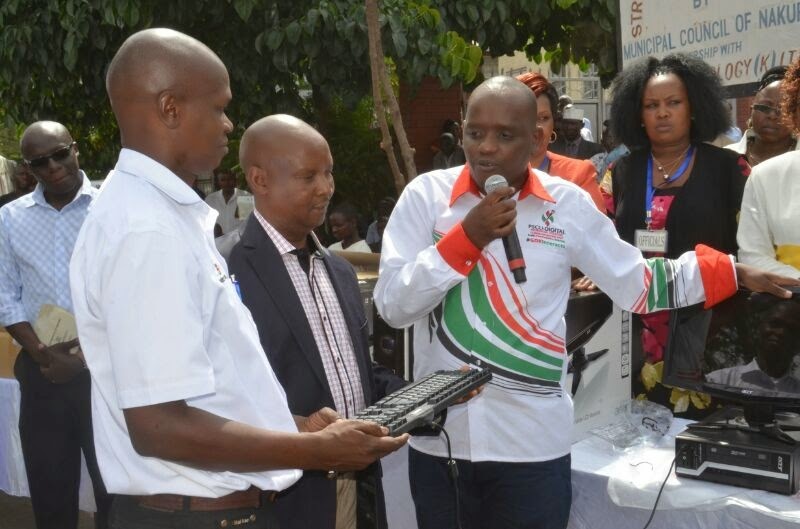 Chief Francis Kariuki is manning a location with population of twenty eight thousand people in Lanet Umoja, Nakuru North District. A while back I was using texting message to inform, reach out and stayed connected with the people in my constituency even though texting messaging was serving the purpose I was looking for a more advanced technology platform that would help me connect with people in my constituency in a broader way. Twitter Policing involves using social media technology to reduce crime , crime prevention tips, community crime surveillance which involves neighborhood watch and crime-reporting activities, altering the community of crime or danger, incidents reporting involving loss of life, property, animals, search and rescue of lost children and elderly, disasters reporting (fire), prevention and fighting illicit brews and local drug peddling , sharing community empowerment and capacity building opportunities and upward mobilization of the community. Twitter Policing involves using social media technology to reduce crime , crime prevention tips, community crime surveillance which involves neighborhood watch and crime-reporting activities, altering the community of crime or danger, incidents reporting involving loss of life, property, animals, search and rescue of lost children and elderly, disasters reporting (fire), prevention and fighting illicit brews and local drug peddling , sharing community empowerment and capacity building opportunities and upward mobilization of the community.